These Nike's are probably the most comfortable shoes I've ever owned. I don't generally wear this type of shoe outside of working out, but every now and then you need a day that is comprised of complete comfort. 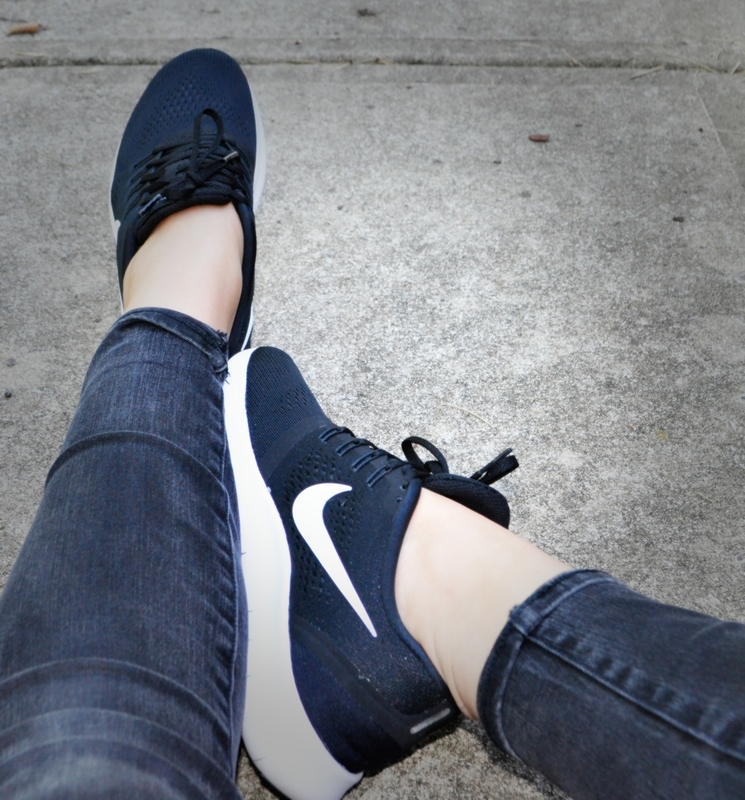 I feel like these black Nike's get the job done while remaining stylish and on trend. Pair these with black skinnies, leather leggings, shorts, or better yet, a dress!